Earlier this year, Netflix announced it would be reviving Gilmore Girls and ever since, fans have been left wondering what this means for the residents of Stars Hollow. Well, here are the answers to all your questions about Netflix’s Gilmore Girls revival. 1. How many episodes will we be getting? 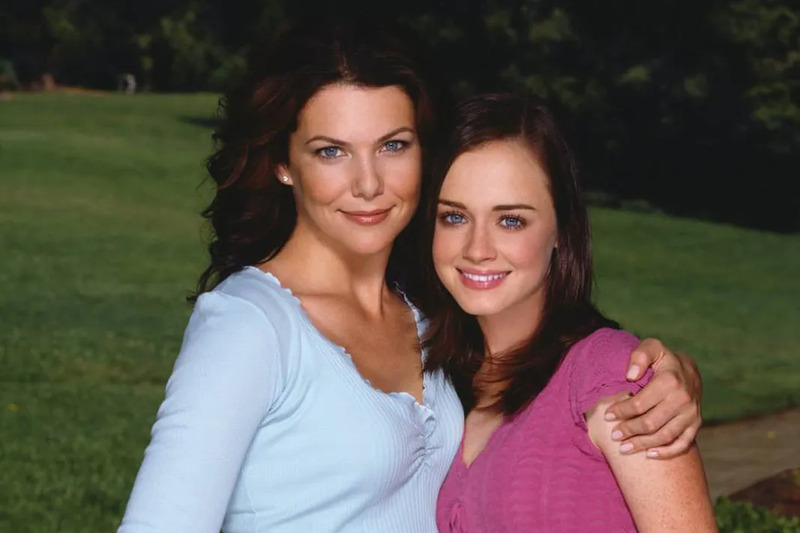 Main series cast including Lauren Graham (Lorelai), Alexis Bledel (Rory), Kelly Bishop (Emily), and Scott Patterson (Luke) are all expected to return. As for the employees at the Dragonfly Inn, Yanic Truesdale will reprise his role as Michel. Unfortunately Melissa McCarthy, who played Sookie, revealed on Twitter that she wasn’t even asked back. However, Sherman-Palladino told TV Line that she would be willing to write the Dragonfly Inn’s chef into the script. While the revival might be missing Sookie (and probably Jackson as well), other returnees include Sean Gunn (Kirk), Rose Abdoo (Gypsy), and Liza Weil (Paris). Keiko Agena (Lane) and the rest of Hep Alien will be returning as well. One face missing from the revival though will be Edward Herrmann (Richard Gilmore) who passed away in 2014. 3. How will the show address Edward Herrmann’s passing? 4. What about the men in Rory’s life? Earlier this year, Sherman-Palladino stated she hoped to bring back as many of Rory’s former flames as possible, “We’re still dealing with who’s going to be in it. We definitely want to see them. And we have storylines planned. I just need someone to tell me they’re going to show up.” It was later confirmed that Jared Padalecki (Dean), Matt Czuchry (Logan), and Milo Ventimiglia (Jess) would all be returning. 5. What’s Stars Hollow like now? The town of Stars Hollow was as much a character in Gilmore Girls as any member of the cast. Right now, production teams are putting together the Stars Hollow set to get ready for filming. The set, which is located on the Warner Brothers studio back lot, has been used for dozens of shows over the years including Seinfeld, Pretty Little Liars, and Supernatural. While Stars Hollow will be back, the town is going to be fundamentally changed since eight years have passed. How will the show bring Stars Hollow into the present? Will the town square have free wi-fi? Personally, we can’t imagine anyone using a smartphone in Luke’s Diner. 6. How will the show translate to Netflix? 7. What are those final four words? For years, fans have been speculating about the proper end to the series (season seven doesn’t count) which includes Palladino’s famous “final four words.” While we’ll have to wait for the series to air to learn what they are, in an interview with TV Line, Lauren Graham revealed that the final four words aren’t a statement, but rather an exchange between Lorelai and Rory. Can We Guess If You're Team Dean, Jess, or Logan?